With rain forecast for lunch time today, this morning we knew we had to be at the allotment super early. No Sunday lay for us. Since this was our first proper trip to the allotment this year, we thought that the whole thing could do with a good dig over. 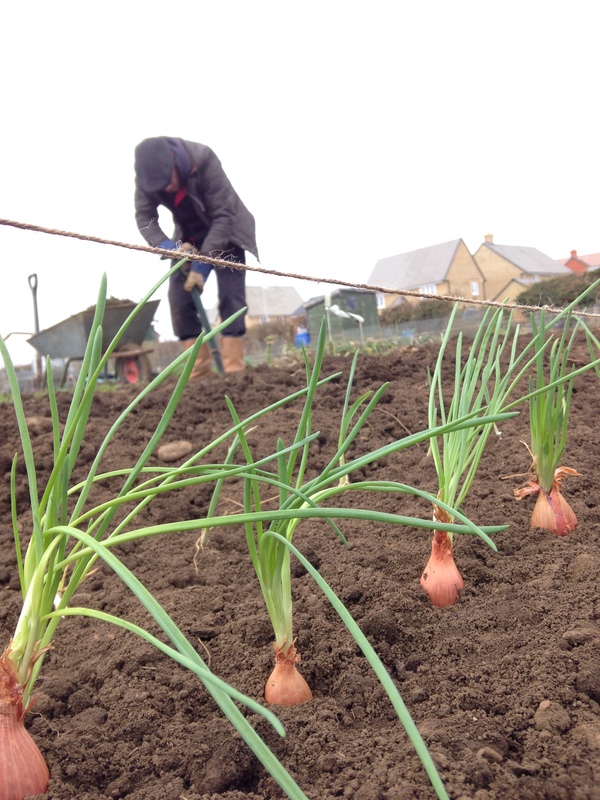 Oli started by marking out the edges of our plot with some string, then got to work digging over a huge section ready for onions to go in in a few weeks time. Whilst Oli dug over one end of the allotment, I worked at the other end to dig over our new rhubarb patch. I had ordered 4 new rhubarb crowns at the end of last year, but as it had been so cold, I had to pop them into a bag of compost to keep them covered. I think they will like their new home, a freshly dug patch next to the shed with a spade full of manure. Lovely. After a whole morning spent at opposite ends of the allotment, we finally decided to head home and get some lunch. As we packed away and headed inside the heavens opened, perfect timing! 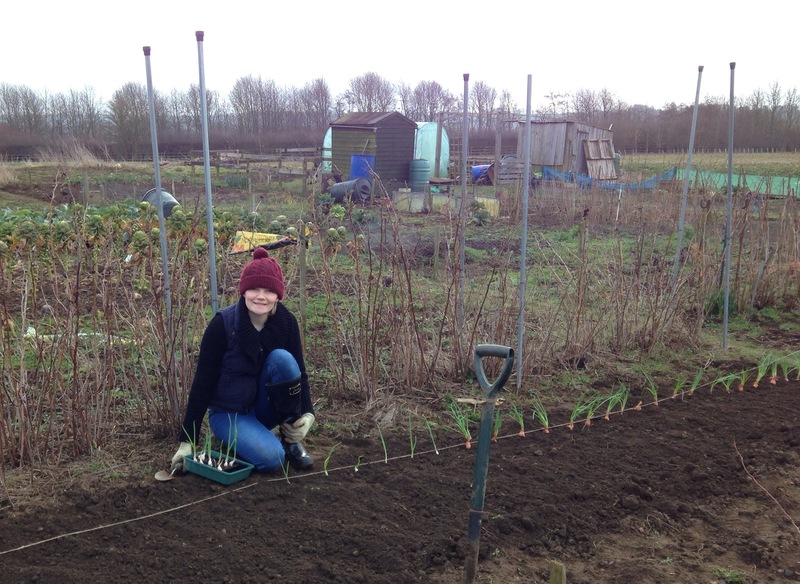 On a sad note – I lost my allotment plan! I feel a bit sad and also a bit lost without it. I think it fell out of my pocket at the allotment this morning and blew away. We looked everywhere for it! So this week I will be redrawing it. Hi, I’ve nominated you for the Liebster Award! Plot138 | Grow Damn’it!! We, Wellie Blog, have nominated you for the Liebster award please follow the website link to the post that you’re mentioned in so that you can learn more about it. Thank you and keep up the excellent blogging, we love reading them. We, Wellie Blog, have nominated you for the Liebster award please follow this link below to the post that you are mentioned in so that you can learn more about it. Thank you and keep up the excellent blogging, we love reading them.